The Signed, Sealed, Delivered team is back in action. Recently, Hallmark Channel announced the new TV movie will premiere in July. The new Signed, Sealed, Delivered movie, titled To the Altar, debuts on Hallmark Channel on July 15th at 9 p.m. ET/PT. What do you think? 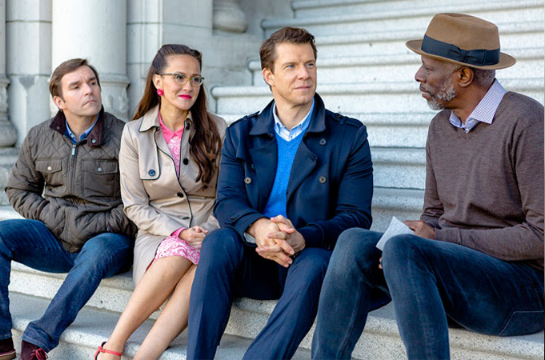 Are you a fan of the Signed, Sealed, Delivered franchise? Will you watch the new movie? More about: Hallmark Channel TV shows: canceled or renewed?, Signed Sealed Delivered, Signed Sealed Delivered: canceled or renewed? Totally love this show!!! The actors are completely in character and the characters are utterly delightful!!! What a refreshing change!!! Love Signed Sealed Delivered. Wish they did the series more often.